This serene design is appropriate for almost any room and brings an natural exotic feeling into your home. The tan rattan shades are tigtly woven and surrounded with coordinating trim and the monochromatic color palette keeps the design tasteful and versatile. 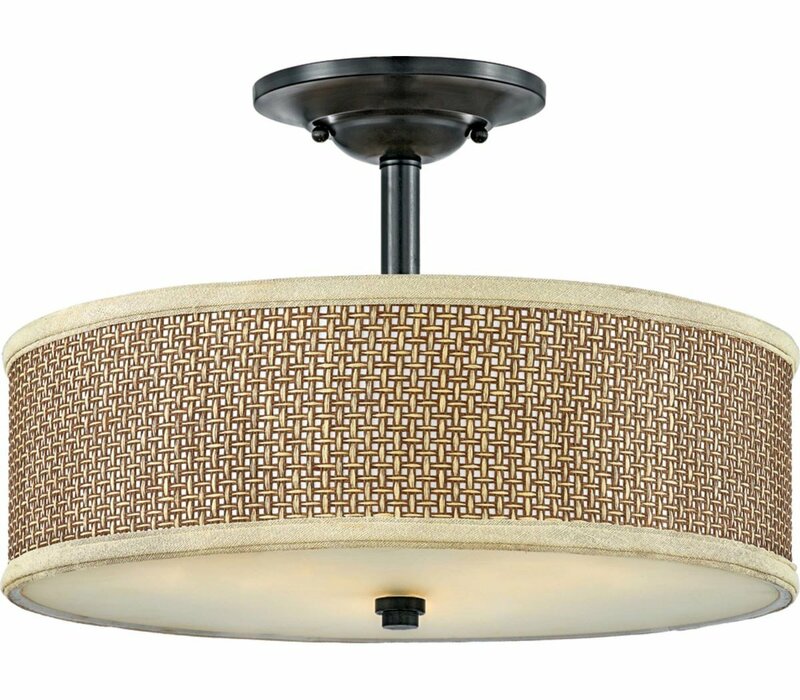 The Quoizel ZE1717K Zen collection Close to Ceiling Lighting in Mystic Black uses Fluorescent light output and brings Transitional style. This item is 12.5"H x 17"W x 17"L. The wattage is 100. The Quoizel Lighting ZE1717K requires 3 bulbs (not included).